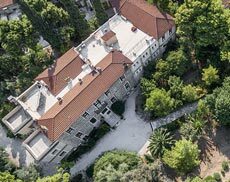 The British School at Athens and Camberwell, Chelsea, Wimbledon Graduate School offer an arts residency in Greece, supported by a bursary (to a maximum value of £2,500) and with studio and accommodation provided, to practice-based PhD students at Camberwell, Chelsea and Wimbledon annually. Recipients of the Bursary must be admitted as Members of the School for the appropriate academic year before receiving their grant. A brief report must be submitted to the appointments panel and the BSA’s Committee for Society, Arts & Letters on completion of the Bursary programme. 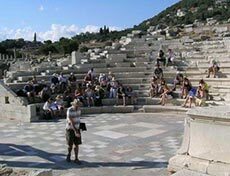 Bursars will be asked to donate some record of their work in Greece to the School, and any subsequent display of work achieved should acknowledge tenure of the award. The offer of a residency to practice-based PhD students furthers the BSA’s mission to support UK-based researchers within its broad arts, humanities, and social sciences remit. Research into archives, cultural memory, and landscape and transnational contexts for cultural transmission being carried out at Camberwell, Chelsea and Wimbledon, engages well with similar themes identified in the BSA’s strategic plan for research. The Arts Bursary of the British School at Athens (former Prince of Wales Bursary for the Arts) was established in 2001 in recognition of HRH The Prince of Wales’s Patronage both of the British School and its Appeal, and to celebrate the royal Patronage the School has enjoyed since its foundation in 1886. 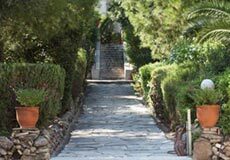 First awarded in 2003, the Bursary sought to give artists – in the widest sense of the term – the opportunity to develop and enhance their work by spending time in Greece. Successful applicants have included painters, both figurative and abstract, sculptors, one working in clay and another in metal, and a photographer. Applications from glass-makers, musicians and poets have also been considered. No Classical or archaeological knowledge is required. Notable previous Bursars have included: Richard Billingham, award winning photographer and Turner Prize nominee in 2001; Tim Shaw, whose work The Minotaur, was placed outside the Royal Opera House, Covent Garden for the premiere of Sir Harrison Birtwhistle’s opera of the same name; and Thomas Lamb, who subsequently had a successful show in Bond Street. “The experience and work of these two months has been a beginning. I can only think of possibilities, all of which are in the future.” Peter Bevan, sculptor. “The Prince of Wales Bursary has been vital in expanding the direction of my current work.” Thomas Lamb, figurative painter. “I am confident that the experience of visiting Greece has been a profound one that will affect future work” Tim Shaw, sculptor. “I think the School allows you to work, it allows you to get up and brush your teeth and just get on with it….a renewed vigour for a serious prolonged attack on the canvas arrived.” Guy Rusha, painter.